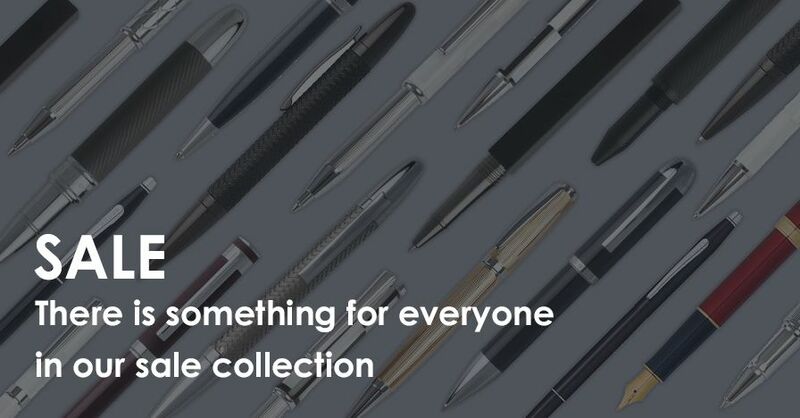 From rollerballs to ballpoints, mechanical pencils to fountain pens. 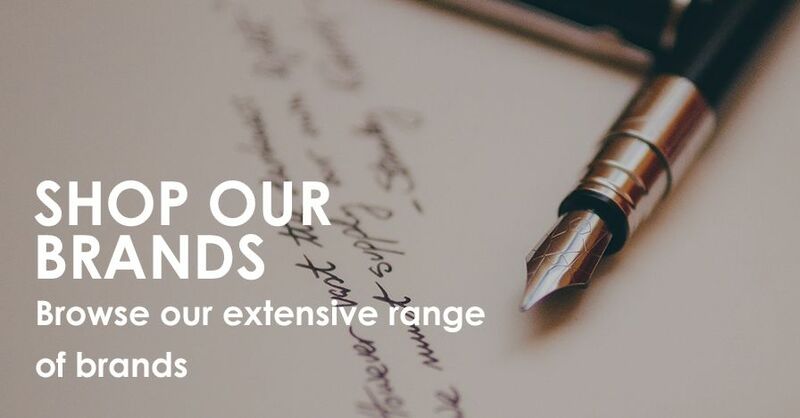 When it comes to finding your perfect writing instrument, there’s a wealth of choice at The Pen Shop. This helpful glossary will help you understand the differences between the types and styles of pens we sell. It includes fountain pen terminology and an overview of the different component parts of the pens we sell. If you have any further questions or require additional advice, please call or email us for more information. A ballpoint pen is a writing instrument with an internal ink reservoir and a sphere for a point. The pen’s internal chamber is filled with a thick, sticky, viscous ink, which is dispensed at its tip during use by the rolling action of a small sphere. Depending on the manufacturer, the ballpoint pen tip is made ready for use with either a twist of the cap or a click of the button on the end of the cap. Blotting paper, sometimes called bibulous paper, is a highly absorbent type of paper or other material. It’s used to absorb an excess of liquid substances (such as ink or oil) from the surface of writing paper or objects. Calligraphy is a type of visual art related to writing. It’s the design and execution of lettering with a broad tip instrument or brush in one stroke. Modern calligraphy ranges from functional hand-lettered inscriptions and designs to fine-art pieces. Capillary action, or capillarity, is the ability of a liquid to flow in narrow spaces without the assistance of, and in opposition to external forces like gravity. A fountain pen draws ink from its reservoir through a feed to the nib and deposits it on paper via a combination of gravity and capillary action. Cartridges for fountain pens are closed by a small ball of glass, which is held inside the ink exit hole by glue or by a very thin layer of plastic. When the cartridge is pressed into the pen, a small pin pushes the ball, which then falls inside the cartridge. Celluloid is the name of a class of compounds created from nitrocellulose and camphor, plus dyes and other agents. Celluloid is easily moulded and shaped and was first widely used as a replacement for ivory. A converter is a device that has the same fitting as the pen's cartridge and has a filling mechanism and a reservoir attached to it. This enables a pen to either fill from cartridges, or from a bottle of ink. The most common type of converter is piston-style. 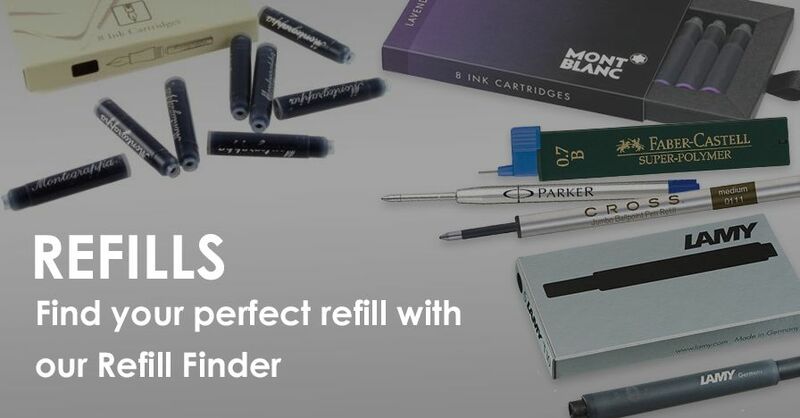 While cartridges are mess-free and more convenient to refill on the go than bottle filling, converter and filling systems tend to be slightly more economical in the long run, since ink is generally less expensive in bottles than in cartridges. Embossing refers to the creation of an impression of some kind of decoration, lettering or pattern on another surface like leather to make a design. Engraving is the practice of incising a design on to a hard, usually flat surface, by cutting grooves into it. Most writing instruments can be engraved, whether simply adding a name or a personal message. A fountain pen is a nib pen that contains an internal reservoir of water-based liquid ink and which needs little or no pressure to write. Fountain pens are often treated as luxury goods or as status symbols. However, they may also be used as everyday writing instruments. A gel pen uses ink in which pigment is suspended in a water-based gel. As the ink is thick and opaque, it shows up more clearly on dark or slick surfaces than the typical inks used in ballpoint or felt tip pens. A hallmark is an official mark or series of marks struck on items made of precious metals—platinum, gold, silver and palladium. Historically, hallmarks were applied by a trusted party – the "guardians of the craft". Today, they’re applied by an assay office. Hallmarks are a guarantee of a certain purity or fineness of metal, as determined by formal metal (assay) testing. An inkwell is a small jar or container used for holding ink in a place convenient for the person who is writing. The artist or writer dips the brush, quill, or dip pen into the inkwell as needed or uses the inkwell as the source for filling the reservoir of a fountain pen. An inkwell usually has a hinged or screw-on lid to prevent contamination, evaporation, accidental spillage, and excessive exposure to air. In a general sense, lacquer is a somewhat imprecise term for a clear or coloured wood finish that dries by solvent evaporation. It is also a curing process that produces a hard, durable finish. A lacquer finish can be of any sheen level from ultra matte to high gloss, and it can be further polished as required. A limited edition pen is usually uniquely numbered and comes with special edition packaging and certificates. These editions are highly sought after by collectors as only a limited number of each are made. A mechanical or propelling pencil is a pencil with a replaceable and mechanically extendable solid pigment core, called a lead. The pencil is designed so that the lead can be extended as its point is worn away. The multi-function pen, or multi-pen, often provides a combination of both a ballpoint pen and a mechanical pencil in the same pen. A nib is the part of a quill, dip pen or fountain pen, which comes into contact with the writing surface to deposit ink. Different types of nibs vary in their purpose, shape and size, as well as in the material they’re made from. Quills are fashioned by cutting a nib into the end of a feather, which traditionally has been obtained from the left wing of a large bird, like a goose. A quill retains ink in the hollow shaft of the feather, allowing more writing time between ink dippings. Quills remain popular for personal use and for artistic work. Resin, in the most specific use of the term, is a hydrocarbon secretion of many plants, particularly coniferous trees. Resins are valued for their chemical properties and associated uses, including the production of varnishes and adhesives. Rollerball pens use ballpoint pen writing mechanisms with water-based liquid or gelled ink, as opposed to the thick, oil-based viscous inks found in ballpoint pens. 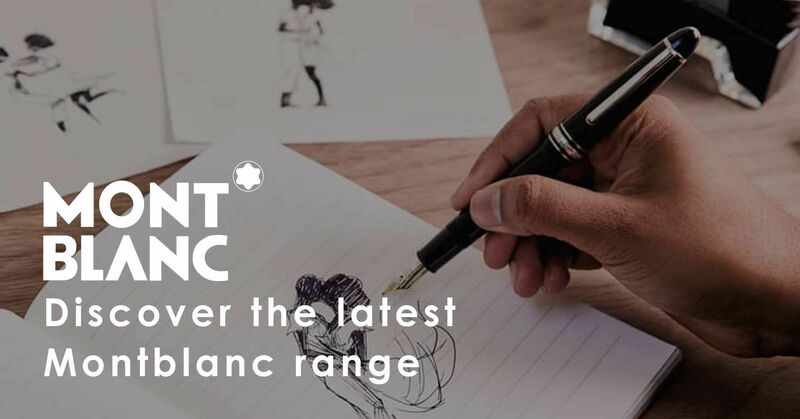 These less viscous inks, which tend to saturate more deeply and more widely into paper than other types of ink, give rollerball pens their distinctive writing qualities. Special Edition/Limited Production Special edition pens have limited production runs, as with limited editions, once they have sold out no more will be made. Varnish is a transparent, hard, protective finish or film that’s traditionally made from a combination of a drying oil, a resin, and a thinner or solvent. Varnish finishes are usually glossy but may be designed to produce satin or semi-gloss sheens by the addition of 'flatting' agents. Varnishes are also applied over wood stains as a final step to achieve a film for gloss and protection.